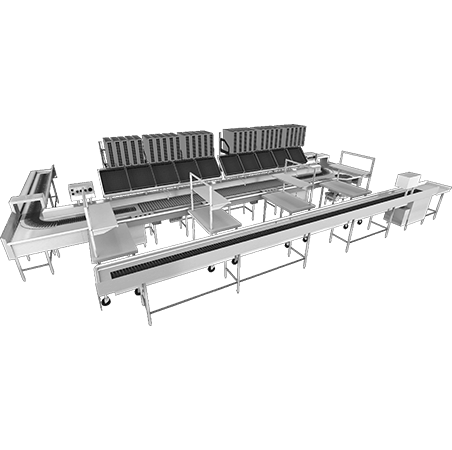 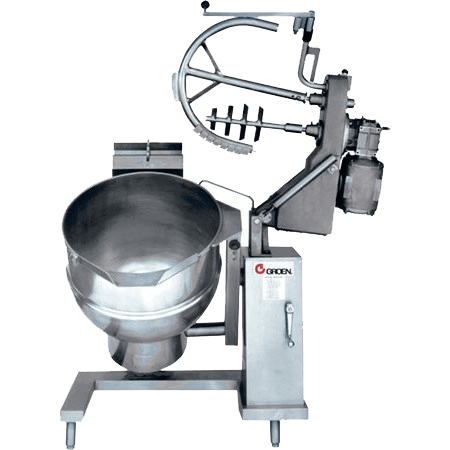 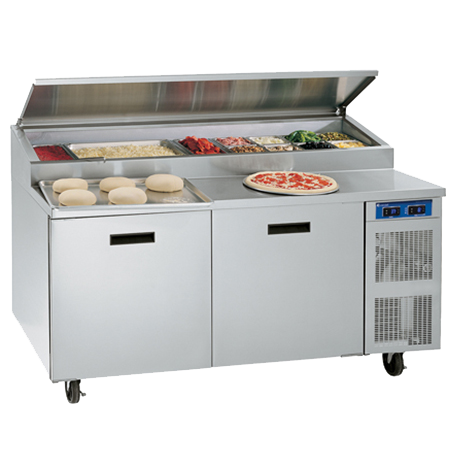 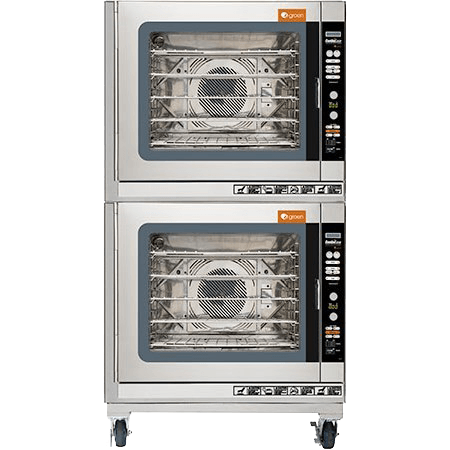 Commercial kitchen equipment that chills higher volumes of product more quickly and increases food quality. 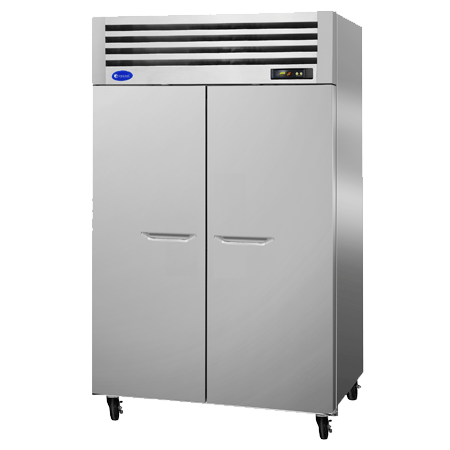 When it comes to ensuring higher food quality, better texture and superior taste, there’s no faster commercial refrigeration method than tumble chilling — and when it comes to performance and functionality, there’s nothing else quite like a CapKold tumble chiller. 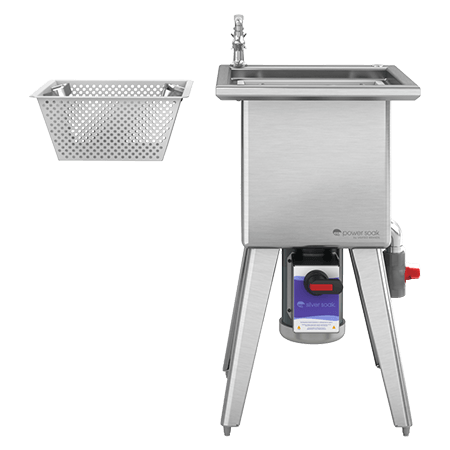 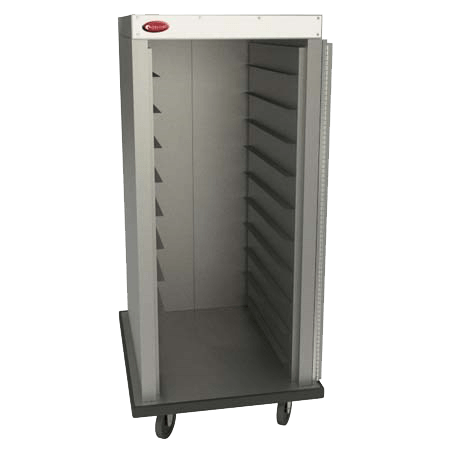 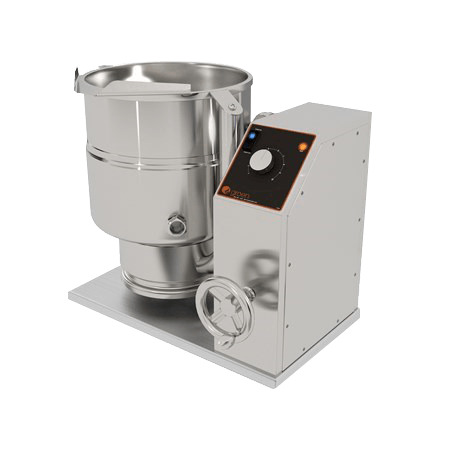 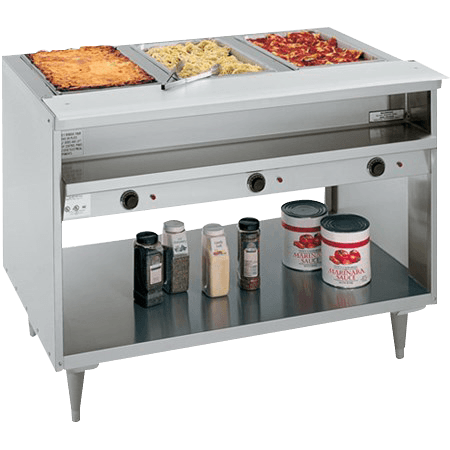 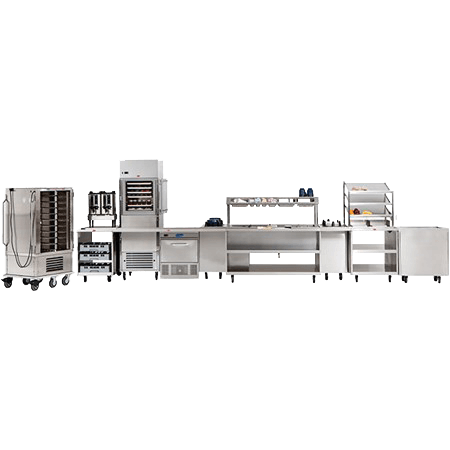 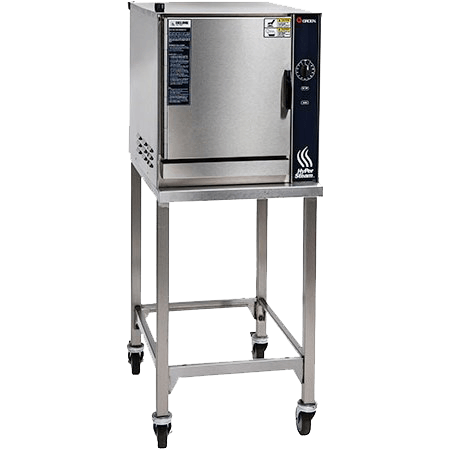 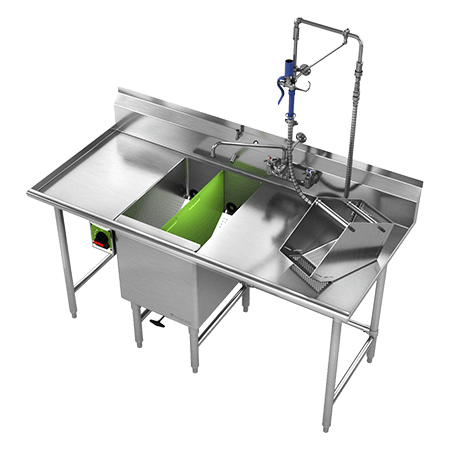 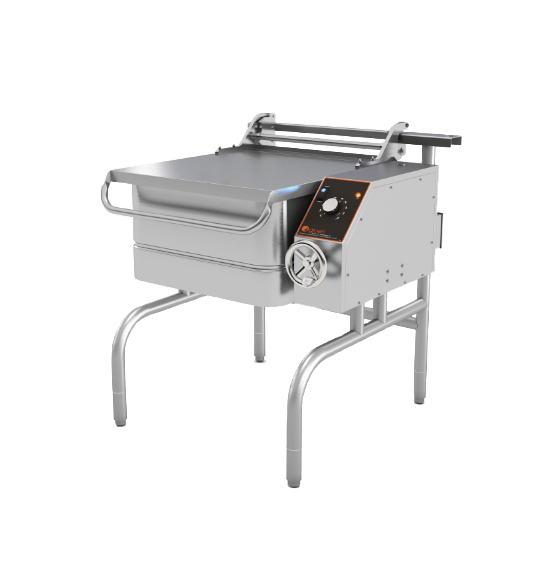 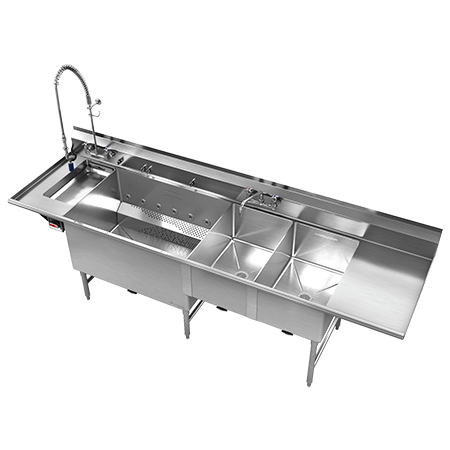 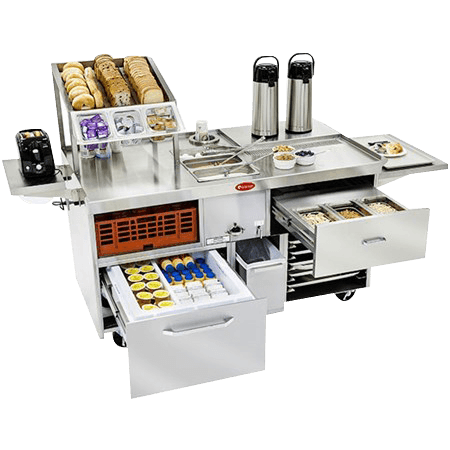 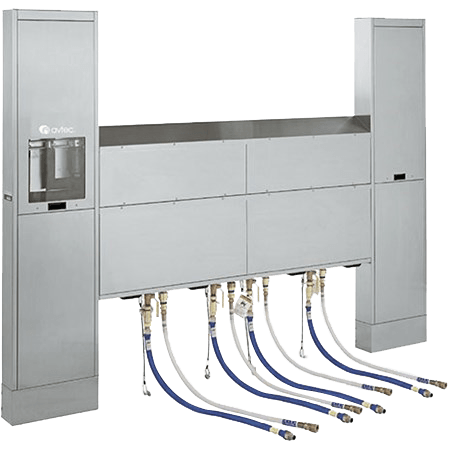 CapKold’s 320-gallon capacity allows commercial foodservice equipment operators to handle very high volumes of food at one time. 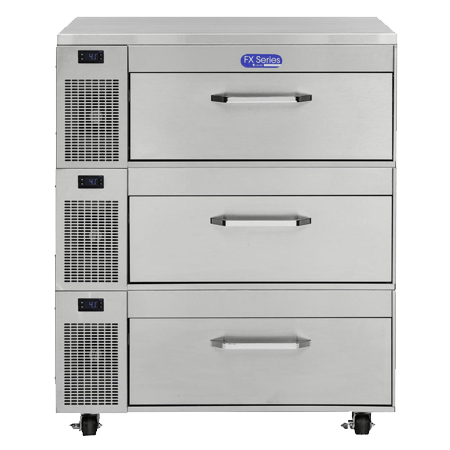 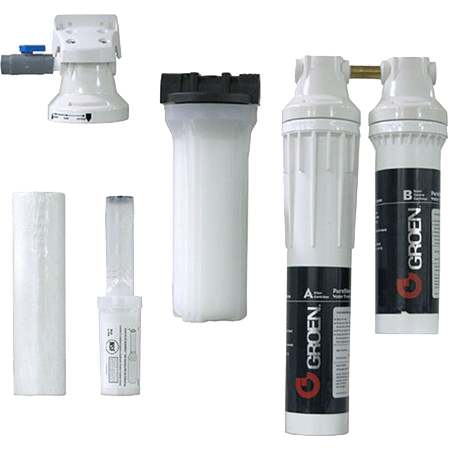 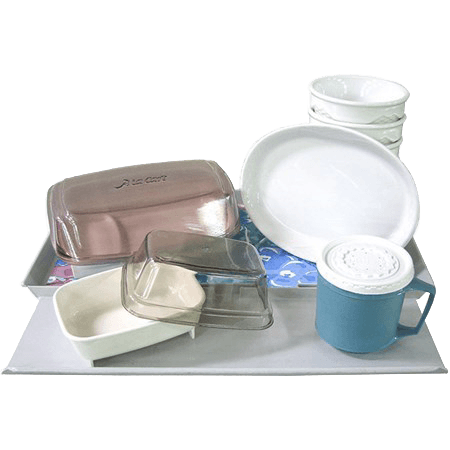 By using a combination of flexible plastic casings and a water bath chiller that accelerates chilling, product can be safely stored for up to six weeks (with HACCP compliance). 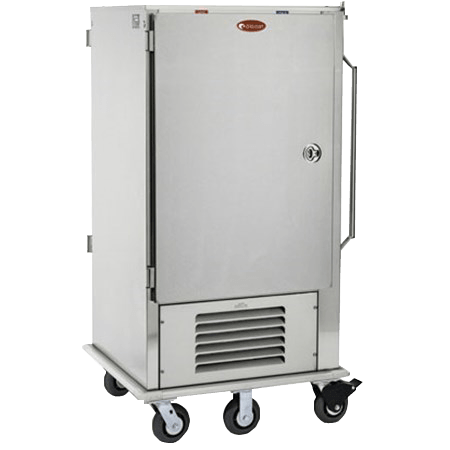 CapKold tumble chillers are easy to use and clean, with an automatic control system and integrated heat exchangers that provide a convenient working height without the need for stairs or other structural support. 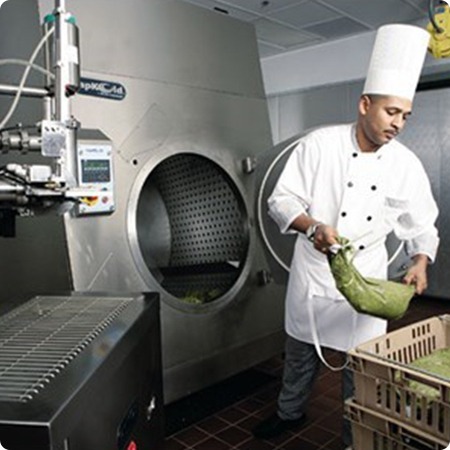 Recycling tanks also save and reuse chilled water, helping to conserve resources and cut costs. 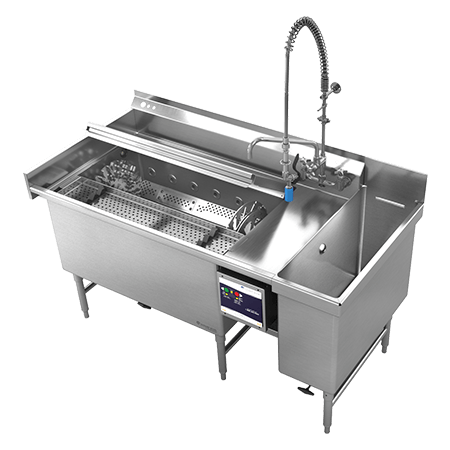 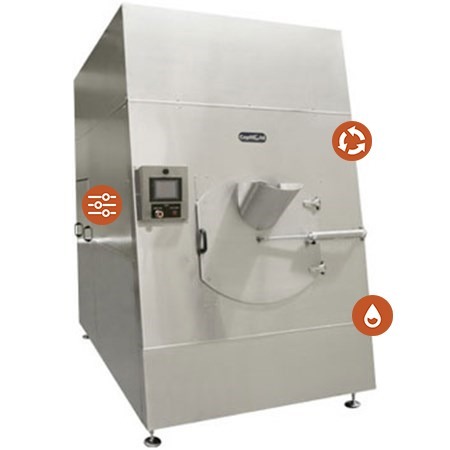 All operating controls on CapKold tumble chillers are contained within an easily accessible front- or side-mounted touchscreen panel, giving commercial foodservice equipment operators the ability to closely monitor chilling time and water bath temperature. 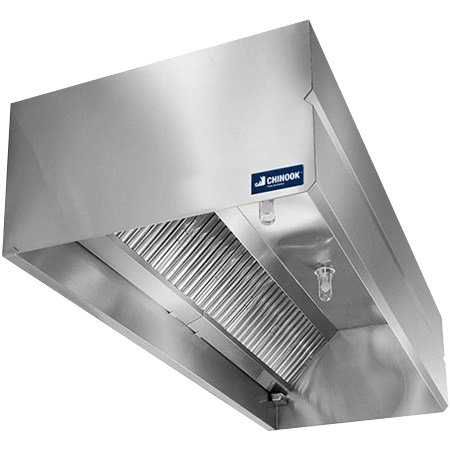 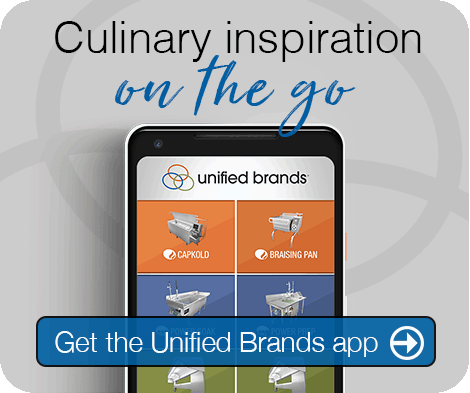 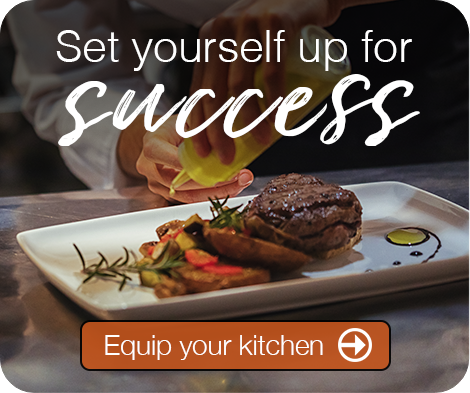 The sophisticated suite of integrated controls featured in this commercial foodservice equipment helps ensure precision throughout the chilling process while freeing up staff from having to constantly check on the equipment. 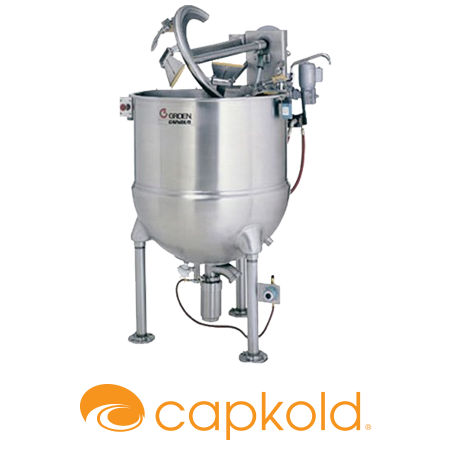 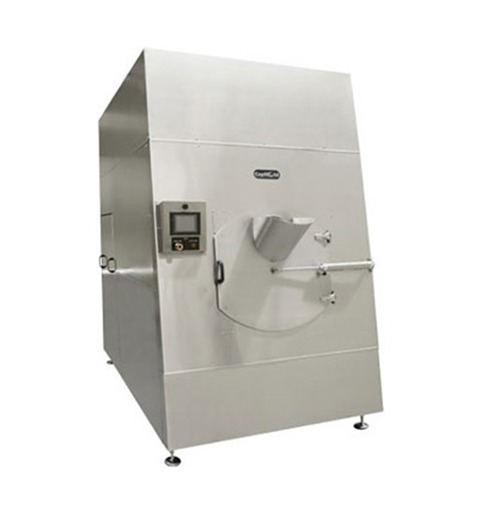 With stainless steel construction throughout, plus a 1 hp direct drive motor, CapKold tumble chillers have the power and durability to take on any large-volume batch and chill it quickly and safely for weeks of storage.